Expert Opinion: Age Concern, Hull. Client: HCC International Insurance plc. Acting upon instructions from Insurers for Contractor The Sewell Group, we investigated a complaint by building owner Age Concern of leaks from a Wet Room. This contained two hydrotherapy pools, constructed as part of their new premises in Hull, completed in 2002 at a cost of some £2.6m + VAT. The scheme had been designed by local architects, Gammond Evans Crichton (http://www.gammond-evans-crichton.co.uk/projects_sub.php?id=50). Following a competitive Tender they were then ‘novated’ to a building contractor. The design and installation of the pool facilities was sub-contracted, by the Main Contractor, to a specialist pool design company. Curiously, as part of their design concept, rather than locate the hydrotherapy pools on the ground floor, the architects chose an upper floor for the facility. Unfortunately, they located it immediately above the Board Room. The pools themselves were of reinforced glass-fibre construction, with tiled timber-framed surrounds, supported upon the floor slab, as self-supporting structures. Timber framing is not, of course, well known for its ability to resist decay in the presence of water and high levels of moisture and humidity. Unfortunately, no provision was made in the design for adequate access to the pipework and circulation pumps installed below the pool. And, no provision was made to waterproof the structural slab. Thus, pool surcharge and pipe failures allowed water to discharge onto the slab. In the absence of a secondary line of protection, including emergency drainage, water repeatedly penetrated through the joints in the slab to emerge below upon the ceiling of the Board Room. Attempts were made to apply a retrospective waterproofing to the slab. However, with the limited access caused by the pool structure and the associated pipework, such a solution was at best palliative and at worst, doomed from the start. Unfortunately, the Employer’s Agent (a firm of Project Managers better known for their services as Quantity Surveyors, Messrs E C Harris), under the JCT Contractor’s Design Contract Certified Practical Completion, with the usual long list of “snagging”, none of which addressed the already evident problems with the pools. Thus the problems were evident, and known to the Employer at the point of Certification. Time passed. 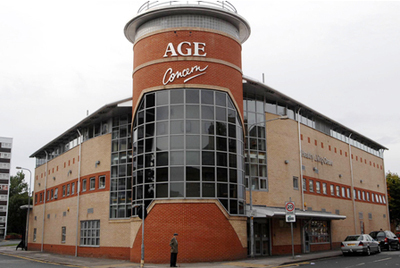 Curiously, the Contractor then undertook remedial works for which Age Concern were charged a further £16,000 + VAT. These were unsuccessful and Sewell then proposed a further set of remedial works which they estimated at some £48,000 + VAT. Eventually Age Concern, having spent over six years trying to get the problems rectified by the Contractor, indicated an intention to issue a Claim against the Contractor. Sadly, that had been left too late: they were advised that any such Claim was out of time under the terms of The Limitation Act. A scheme of remedial works designed by a second firm of architects was estimated at over £100,000 + fees + VAT and the facility would of course be unusable for the duration of the necessary remedial works. That work ultimately had to be funded by Age Concern. The moral of the story: for architects incorporating pools of any kind into buildings, ensure the installation is fail safe, not fail unsafe; for Employers the moral (again) is to begin your Claim early, do not delay. And, possibly, avoid ‘design-and-build’ projects. Or, at least engage an Employer’s Agent who will ensure works are completed properly before Certifying Practical Completion. Better still, employ a design team to design the project, and a Contractor to build it. That is not a popular notion today, but it may have made the difference in this instance. And finally, for “specialist pool designers”, be very careful when offering to provide “design” services. Below: images of the hydrotherapy pools, damage arrising from pool surcharge, and the restricted access below the pools.